. إن فندق رانديفو سيدني سنترال حريص على توفير الراحة للنزلاء، فلا يوفر الموظفون جهداً في تقديم أفضل الخدمات وضمان حسن الاستقبال. تتضمن الميزات الرئيسية في هذا الفندق: واي فاي مجاني في جميع الغرف, مكتب الاستقبال على مدار الساعة, مرافق مخصصة لذوي الاحتياجات الخاصة, تسجيل وصول/خروج سريع, تخزين الأمتعة. استمتع بوسائل الراحة الراقية في الغرف أثناء إقامتك هنا. بعض الغرف تتضمن تلفزيون بشاشة مسطحة, غرفة معيشة منفصلة, اتصال لاسلكي بشبكة الإنترنت (مجاني), غرف لغير المدخنين, مكيف هواء لمساعدتك على استعادة طاقتك بعد يوم طويل. كما أن مجموعة الخدمات الواسعة الموجودة في الفندق لضمان راحتك تترك لك الكثير من الخيارات لقضاء وقتك أثناء فترة إقامتك. مهما كانت دواعي سفرك فإن فندق رانديفو سيدني سنترال هو خيار ممتاز لإقامتك في المدينة. Just across from central station. So handy to catch trains however we walked everywhere from this hotel like to Darling Harbour and Circular Quay. So close to to everything, lots of food to choose from around the area too as it's near China Town. Friendly staff. Only Con is that the bathroom mirrors would fog up when you shower. Needs a fan. 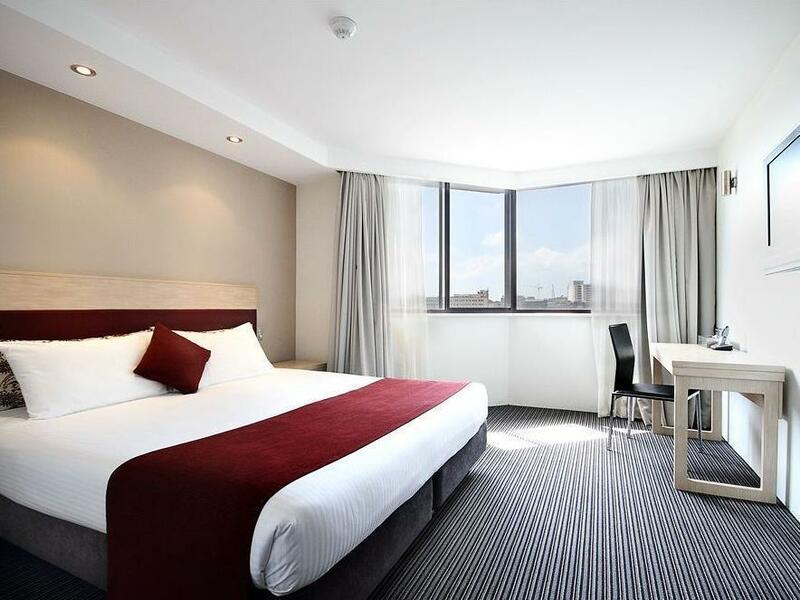 This hotel is right next to Central Station and China Town therefore is very convenient for transportation and dining. The room is about right size for a family with a small child. And surprisingly there is a small swimming pool on the roof with awesome view. The free internet is a bit slow and you have to relogin every 12hr. If rates are in your favour, this hotel is an excellent choice. Located just minutes away from Central Station which gets you anywhere really. Room was big and clean and so was the bathroom. However double bed turned out to be two smaller beds placed side by side so couples might have to endure a bump in the middle. 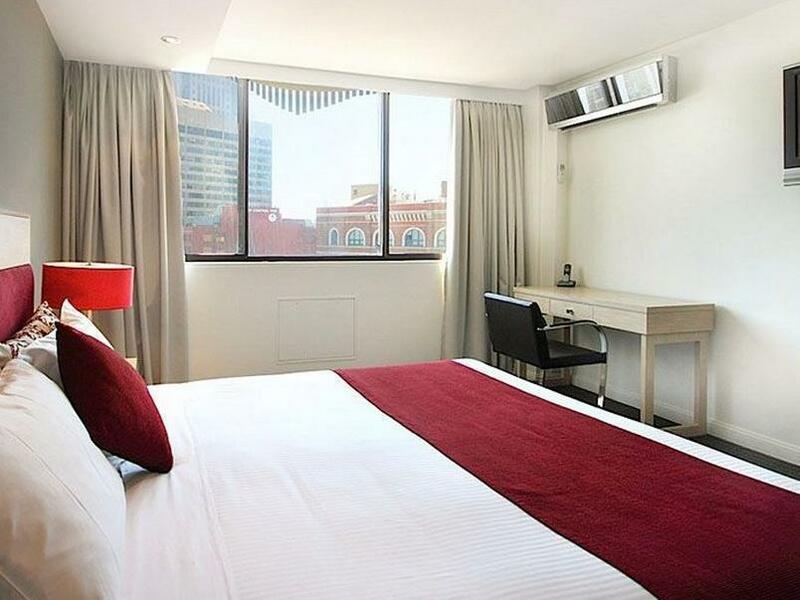 I am a return customer and I always choose this hotel whenever I travel to Sydney as it is very close to central station which allow me to easily travel to my workplace. It also close to eateries which convinient me to food especially after a tire work day. Few mins walk to Central Station. V convenient place to stay in. The hotel was clean, staff was kind- even gave us free slippers as our booked room type didnt have it. I'd love to stay here again when We return to Sydney! The hotel's location is great, just about 5 min walk from the Central Station. We took Taxi from Sydney Airport and cost about AUD50-00. The front staff is very helpful and friendly. The room is clean and the space is quite satisfy, the bed is very comfortable. The room air-conditional is not really working well and sometime we feel quite stuffy in the room. Overall we feel happy and satisfy stay in Rendezvous Hotel. I have stayed here several times. No it does not have Sydney Harbour views but that's what makes it economical. 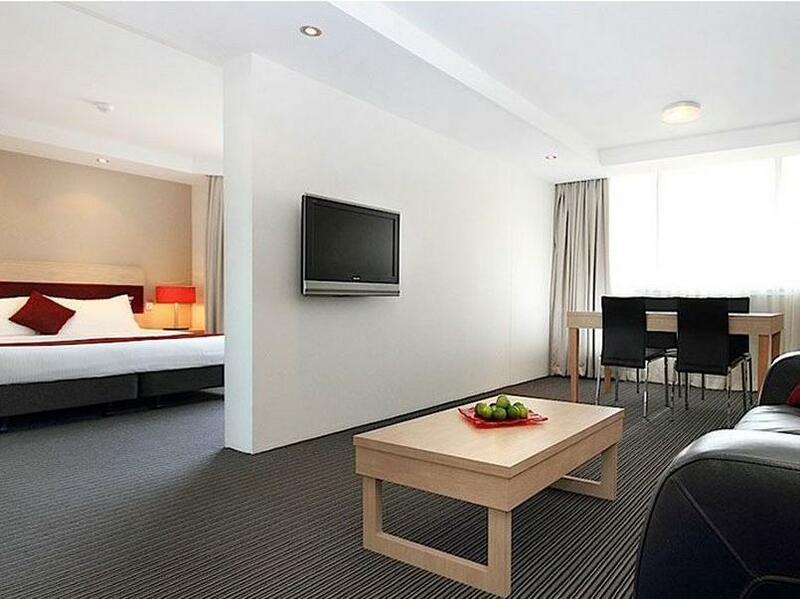 As an ex-Sydneysider I now come to Sydney for business and leisure so this hotel is perfect fpr my needs. Great location on the edge of China Town, across the road from Central Railway Station, a short walk to Darling Harbour. This southern part of the CBD is undergoing massive re-development (eg Central Park) and so the location is even better. The hotel is modern and very comfortable but relatively basic. It does have in-room tea and coffee making and an ironing board and iron (both important when I'm in Sydney for work). I choose not to include breakfast as there are some excellent cafes serving breakfast nearby. Free (but slow) WiFi is a big plus for an Australian hotel. The room I was given was very large, clean and comfortable. I checked in very quickly without any complications and the reception staff were friendly and helpful. The hotel is located at the start of George St and so if you are looking to be near the shopping areas of QVB and where the Strand Arcade are, it's about a 10 - 15 min walk just down George St. Pretty near for me and I could walk to Darling Harbour from there so I like the location - it's along the main road but far away enough from the busier part of town to be quiet but still accessible to those places. Chinatown / Paddy's Market are a short walk away as well. It's also just opposite Central Station and Adina Hotel and so you have access to 23 train lines, with a bus stop just at the hotel's footstep. There are 7 Eleven stores and sandwich/pub places all nearby so it is in a really convenient location. If I have to pin point a down side, it is that the walls of my room were a little thin so that I could hear my neighbours when they watched tv or talked loudly. Overall however, I would stay at the hotel again. It’s a great hotel, value for money and location is undeniably strategic. The only thing is that you have to inform the reception if you want your sheets cleaned. They just straighten ur bed without cleaning it much. Other than that, great selection always. Good location. Close to major tourist attractions and eateries. The staff were always friend.ly and polite. The location was extremely convenient. Rooms were clean and comfortable. The facilities and service should upgrade according to the location and price. Centrally situated for trains and buses, though a lot of traffic noise of course. A short walk to Darling harbour. Spacious rooms with good facilities and comfortable beds. The staff were particularly friendly and helpful. Right next to Central station, woolworths nearby also chinatown. Lifts are tiny and aged, tv control in room is not working, noisy air con, extremely soft bed, they pull 2 single bed together to form 1 double bed. Luckily we stayed 1 night only. Have requested morning call. But no call.the other day! On the other day, have requested another morning call and specially requested reception to ensure the call to be made. But still ,there were no morning call on the other day!! Location is very good for all sorts of needs. CBD. Opposite Central station. Lots of yummy eating places around. room meets basic needs. not noisy at night. Might need a revo for room and facilitues as they look bit worn out such as wash basin and tiles.